Beautiful large contemporary home in exclusive family development, fully furnished, applianced and elegantly decorated, a short walk to Wellfleet Center and bay beaches. 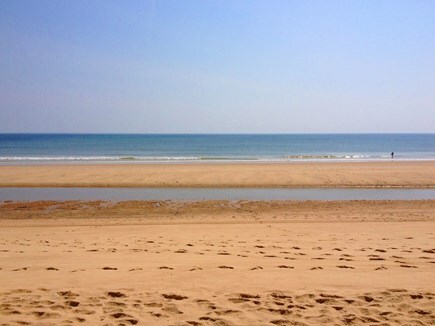 Five-minute drive to all ocean beaches & ponds. 3 bedrooms, huge master bedroom with en suite bathroom. There is a half-bathroom on the first floor. Sleeps 10. 2 sleep sofas. 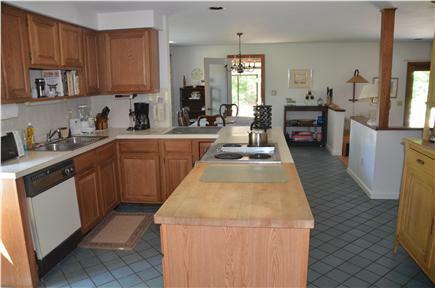 Outdoor shower, spacious screened-in, furnished 3-season-porch and an outdoor furnished patio/deck. References & $400 security deposit required. Dogs are negotiable for an additional $100 (cleaning fee). No cats allowed. 10% discount on additional weeks (after first week). Half of rent due upon booking to reserve house with the balance and security deposit due on April 15th. Off Season rates are negotiable. *Linens & Towels are NOT included. This is our family home; a beautiful, sunny, colorful home with an open floor plan and all the comforts of home. Please call or email me if you are interested. Cordially, Jessie Birckhead. Additional availability info: June, July, August September, October. This is a Sunday to Sunday vacation rental. 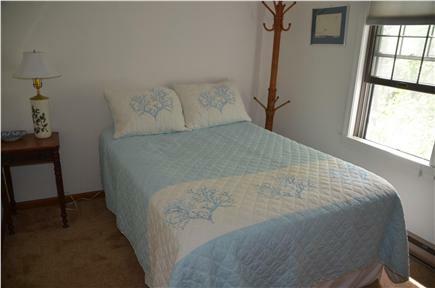 Long-Term Rental (1 month or more): This home is available for a long-term winter rental November through March/April. Price negotiable. Additional pricing info: 5 % discount for consecutive weeks. . State and local taxes of 12.45% will apply. First floor bedroom and half bathroom with 3 steps to enter house. Outdoor shower on first floor level. Nice, spacious home with access to our favorite beaches. We all had a great time including our dog. Owner very accommodating. We look forward to returning next season. Beautiful home in quiet, peaceful setting. Home is very spacious, comfortable, well appointed and ready for relaxing. There's lots to do in the area if you like to be active; but if you just want to escape for a bit, this home will surely please everyone. Also, unique shopping and excellent restaurants nearby. Owner is very easy to work with. 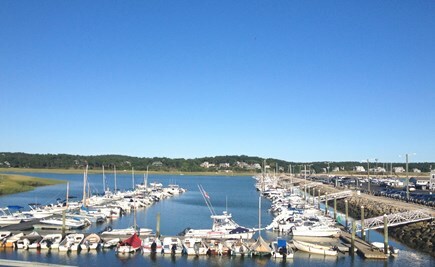 Would highly recommend staying here for your Cape Cod vacation! 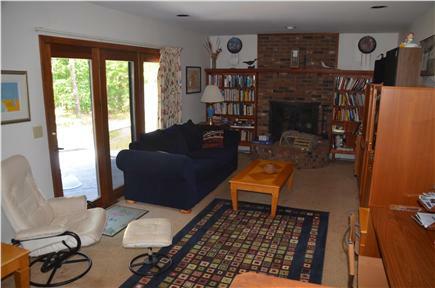 This spacious, comfortable home is located in a beautiful neighborhood only minutes from the heart of Wellfleet. It provides a great environment for a multi-family vacation where you can spend time together enjoying meals or playing games, but will also have no problem finding a nook of your own to read or rest. You can easily spend your entire vacation visiting the charming shoppes and fabulous restaurants of Wellfleet, not to mention its many local pristine beaches. But the ideal location of this vacation home makes it the perfect home-base for day trips as well. Additionally, the owner was very helpful and accommodating. 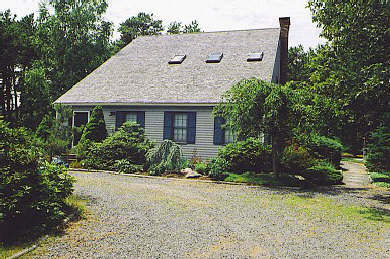 For several years my family has had the pleasure of spending a week's vacation in this lovely home in Wellfleet. It is very conveniently located near a choice of beaches, the Cape Cod National Seashore, wineries, quaint shops and excellent eateries. The home is very spacious allowing everyone to find either a quiet space for reading or taking a nap, or spending time together playing cards, games, etc. We are so grateful that Jessie's home is dog friendly. Our two dogs are seniors, and we don't like to be away from them. We can have them with us and they really have fun too, on the beach and on daily walks around the neighborhood. I've rented this house for 5 years now. It's spacious, light, private, well- equipped, and great for entertaining, all at a very reasonable rate. Jessie, the landlord, has been lovely to work with over the years as well, and the house is in a great location just outside of Wellfleet Center. Our family has been spending at least a week in Wellfleet every summer since before the kids were born. 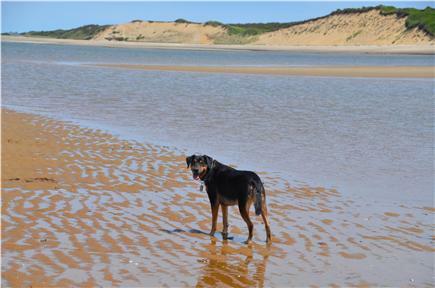 Both kids (now 19 and 15) consider Wellfleet their second home now. A few years ago we decided to move from our regular rustic waterfront rental to an 'in-town' base for our annual summer vacation. After a few years of trying different houses, each with its own pros and cons, we found this one, which combines location (a short walk to downtown), comfort (all the amenities of a year-round house), and space (my favorite is the large screened-in porch).